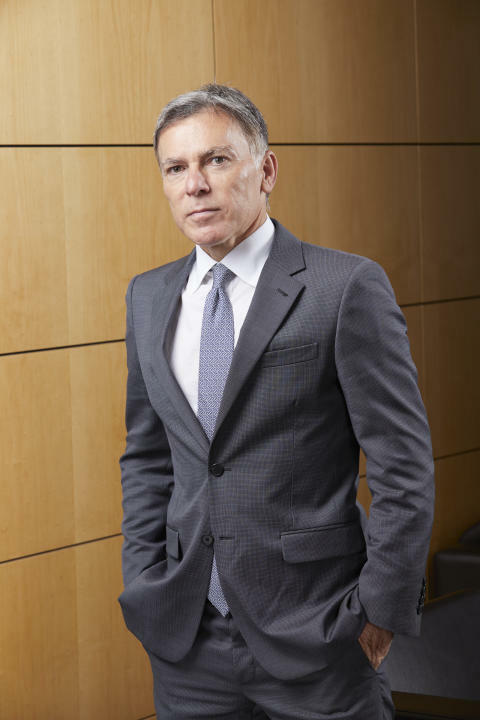 Sandton, Johannesburg, 20 February 2018 – Group Chief Executive, Adrian Gore, shared the interim earnings and performance highlights of the Discovery Group for the six months ended 31 December 2017 with analysts. Overall, the Group’s performance exceeded expectations, enabled by focused execution towards its stated Ambition 2018 ‘to be the best insurer in the world’. Normalised operating profit increased by 19% to R4 059 million and normalised headline earnings increased by 30% to R2 829 million. Annualised premium income, which excludes Discovery Health’s take-on of closed medical schemes and gross revenue of Vitality Group (responsible for the expansion of Vitality Shared-Value Insurance globally), increased by 16% to R9 303 million. The Group also reported growth in embedded value of 13% on an annualised basis to R60.4 billion. Over the period, the Group surpassed its growth methodology targets. Established businesses delivered combined growth in operating profit of 15% – well above the target of CPI + 5%. Emerging businesses are all profitable, with a combined growth rate of 151%, by far exceeding their target of CPI + 30%. The Group invested 8% of earnings in new initiatives, including in Discovery Bank, Umbrella Funds, Vitality Invest, and Discovery Insure Commercial Insurance, as it focused on growing internationally and extending the Shared-Value Insurance model locally. Using technology and data analytics capabilities that enable Shared-Value Insurance, Gore said the model, which creates business, client and societal value through behaviour change, continued to give the Group a competitive advantage as it gets applied across markets. The Global Vitality Network, centralising the global partnership, programme, data and brand assets, continued to invest in the repeatability and scalability of the Shared-Value Insurance model. This Network now has over seven million Vitality members who are actively engaged, and it represents Shared-Value Insurance in 19 countries. Gore said substantive progress has been made against the Ambition 2018 criteria. Criteria include specific targets in financial performance and management, brand and data capabilities, and objectives for each of the businesses. Gore said that Ambition 2018 has created an impetus for execution, resulting in outstanding financial outcomes and scale, and accelerating development of a pipeline for future growth. For the Group, their financial performance and progress since implementing Ambition 2018 in 2013 is a testament to its powerful framing effect. Since then, sizeable businesses, Discovery Invest, VitalityLife and VitalityHealth, became established businesses. High-potential businesses, Discovery Insure, Ping An Health and Vitality Group, became emerging businesses; while there was ongoing investment in new ventures to ensure a pipeline for future growth. The Group’s organic growth plan places business in three categories – established, emerging and new – each with specific performance measures. Gore emphasised that all businesses are cash efficient and the Group is not reliant on one specific business for its cash flow. Results were ahead of the stated growth methodology and capital plan. During the period, Discovery came to market for its inaugural Domestic Medium Term Note issuance to diversify its funding sources and this was oversubscribed. The Financial Leverage Ratio (FLR) for the period remained below the 28% guidance at 26.5%, while the Group maintained an above-guidance cash buffer of R2.5 billion at 31 December 2017. An important element of Discovery’s operating model is its cash management approach. Generating R6.1 billion in cash (before tax), the Group invested R3.8 billion in new business and R1.1 billion in new initiatives after all payments. These meet the criteria of risk-free + 10%, validating the approach to continue to invest significantly without breaching the FLR or cash buffer. New initiatives, Discovery Bank, Umbrella Funds, Vitality Invest, and Discovery Insure Commercial Insurance, all remain within budget and on track for launch in 2018. From an architecture perspective, the Global Vitality Network made progress towards a universal behavioural platform that manifests in a simple, digital user journey based on Active Rewards. This is being powered by a configurable global technology platform – Vitality One – currently tracking over 500 million activities and 25 million biometric readings. During the period, the South African Reserve Bank granted a banking licence to Discovery Bank. The banking offering is operational, and expected to launch in quarter three of 2018. Gore said the business was well capitalised and that the five-year capital plan for the launch and implementation of Discovery Bank remained on track and within expectations. “With the people, processes and systems all in place, we are very pleased that the team was able to meet every milestone along the way. The Bank will add to the Group’s ability to change behaviour and disrupt industries. We are managing the pace of execution of this strategy with due care, and are looking forward to bringing this new initiative to market,” he said. Discovery Health delivered excellent results. The company grew its restricted medical scheme client base to 18 medical schemes and over 660 000 lives under management. Total lives under management reached 3.44 million. Immediately following the review period, Discovery Health won tenders to administer the BP Medical Aid Society, which will be administered on the Discovery Health platform from 1 July 2018. Discovery Health continues to lead innovation in healthcare to address healthcare cost, quality and access. Discovery Lifecontinued to focus on its Shared-Value Insurance model to maintain its market-leading position. The second quarter of the calendar year saw a rapid acceleration in new business, driven by the annual product launch. New business API increased by 6% to R1 121 million, and earnings increased by 4% to R1 839 million, despite higher-than-expected claims. Market share increased to 27.5% (NMG Life Insurance New Sales Report Q1-Q4 2017) in the retail affluent protection segment, while the value of new business grew by 11%, reflecting a continued focus on quality of new business. Discovery Invest operating profit grew 29% to R419 million, driven by growth in assets under administration of 22% to R77.8 billion, with 77% of linked funds in Discovery funds. The Discovery Balanced Fund continued to perform well and remains in the top 10 retail flow taking SA Unit Trusts in each quarter for the past two years. VitalityLife normalised operating profit increased by 2% to £14.8 million and new business sales were £31.5 million, 4% lower than the comparative prior year volumes. VitalityLife has reconfigured and priced its business for a low-interest-rate environment, with a focus on Term products and Vitality integration. As a result, sales performance picked up strongly in the second quarter of the financial year. VitalityLife’s continued product innovation saw a drive towards more capital-efficient products with a focus on business mix. VitalityHealth recorded excellent half-year performance levels. New business was 18% higher than the previous period, at £29.5 million, with continued strong growth in the more profitable individual (+14%) and SME (+13%) markets. The business continued its investments in digital assets essential to achieving service ambitions, including sophisticated machine learning techniques in sales and retention. These investments will ensure that the business keeps up with changing member demands, removes barriers to engagement and creates cost efficiencies across operations. Discovery Insure showed continued profitability, standing at R29 million for the six months. The business is growing at five times the South African short-term insurance industry growth rate. The Shared-Value Insurance model drives efficiencies and the business has over 200 000 insured clients and more than six billion kilometres of driving data. The business is exploring the opportunity to extend the model into the commercial and fleet insurance market in 2018, as well as into international markets as an extension of the Global Vitality Network. Vitality Group experienced significant membership growth of 49% to 1.7 million members. There are substantial efforts to develop partnerships with additional insurers in Latin America, Europe and Asia in partnership with reinsurer Hannover Re. Vitality Group has already concluded one new partnership with a launch planned before the end of FY2018, and aims to conclude another partnership in the same timeframe. Ping An Health membership grew by 60% from 1 July 2017. Growth was driven by e-Sheng Boa (high-deductible health cover sold online), which contributed more than 68% of the R2 billion in new business volumes during the period. Ping An Health is growing its distribution channels to sustain this rapid growth. Private health insurance is set to grow substantially in China and Discovery continues to support Ping An Health through its health insurance expertise. The membership of Vitality Active Rewards in Ping An Life passed the three-million-member mark within 14 months. There are now more Vitality members in China than in any other country where Vitality is present. Discovery Limited is a South African-founded financial services organisation that operates in the healthcare, life assurance, short-term insurance, savings and investment products and wellness markets. Founded in 1992, Discovery was guided by a clear core purpose – to make people healthier and to enhance and protect their lives. Underpinning this core purpose is the belief that through innovation, Discovery can be a powerful market disruptor. Vitality, Discovery’s wellness programme, is the world’s largest scientific, incentive-based wellness solution for individuals and corporates.